Metal or Plastic used shopping carts – The availability of specific models of our used shopping carts is dependent upon the used cart market. Large, medium & small carts available; see the general descriptions below. 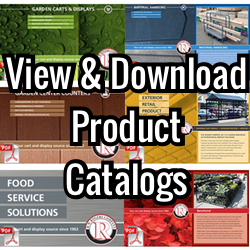 Whether your looking to add to your existing fleet or to supply your store with a fresh look, we have what you are looking for. 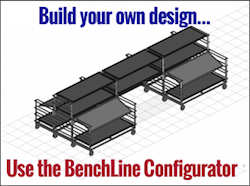 Click to learn how we refurbish shopping carts. Please contact us at 630-377-9033 x230 for available sizes and prices. Small Carts Have A Capacity That Is Approximately 6000 Cubic Inches. Small Carts Will Be Between 18 To 19 Inches Wide At The Handle. These Carts Can Be Beneficial In Small Stores With Narrow Aisles. The Most Popular Size Shopping Cart. The Capacity Will Range From 12000 To 13000 Cubic Inches. The Width Will Be Between 20 And 22 Inches. This Is The Best Size Cart For Most Situations. 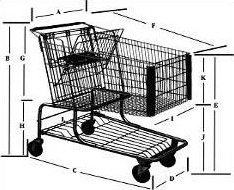 Large Shopping Carts Will Range Between 15000 To 19500 Cubic Inches. The Width Will Be Between 24 And 25 Inches. Inspect and replace wheels and casters. Standard refurbishment replaces 1-2 wheels and casters per cart. An option is available to replace all wheels and casters. Bend carts back to their originally manufactured position. Weld any broken or missing wires and tubing back into place. Power washing removes loose rust and dirt, let dry and paint. R.W. Rogers uses a durable long lasting Acrylic Polyurethane 12 series two component coating on all refurbished carts. It is designed for interior and exterior exposures where long term durability and high performance are required. High impact resistant. Excellent gloss retention and UV resistant. Colors available to match existing e-coat or powder coatings. Install new handles, seats & seat belts. Final product ready for distribution.